I make comics in the wee hours of the morning. On average, I have been put out one full color comic book and one black and white comic each year. I also exhibit my original artwork several times a year in local gallery spaces. 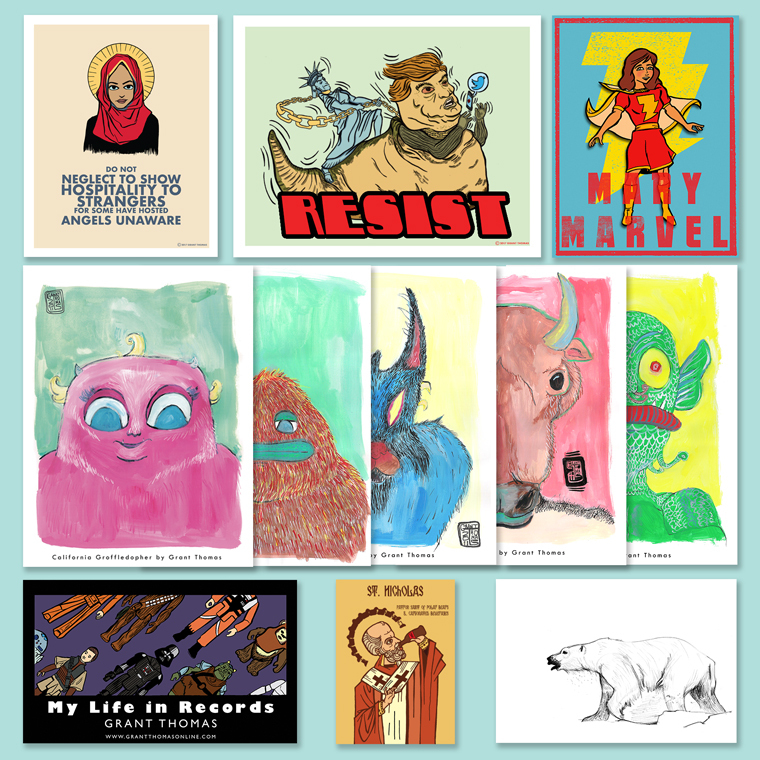 I've had a few comics published by Fantagraphics Books, but generally I self publish my books and sell them through my website and at art shows. While it costs very little to make comics and publish them on the web, exhibiting my artwork and creating physical books to sell do cost money. I love the democratizing power of webcomics, but I also love flipping through tangible books. I would like to be more consistent about putting my books out into the world and I would like to continue to exhibit my work. It is getting increasingly difficult to justify dipping into my earnings from my day job to do these things. Your patronage will ensure that I can still put out two books a year and that I can exhibit my original work throughout the year. As a patron, you will get your name listed on the special thanks page in each upcoming comic book. You will get unlimited access to archived comics. Finally, for patrons pledging $5.00 per month (or more) you will receive exclusive discount codes so you may purchase the book and other art from my storenvy site at a reduced price. So what are you waiting for? Sign up and help me make some comics! Your name listed in the special thanks page in each upcoming comic book. A FREE physical copy of the latest issue of Dodo Comics sent to you! All Patrons will receive one print of their choice.